Soirée Floral: Super Bowl Sunday! 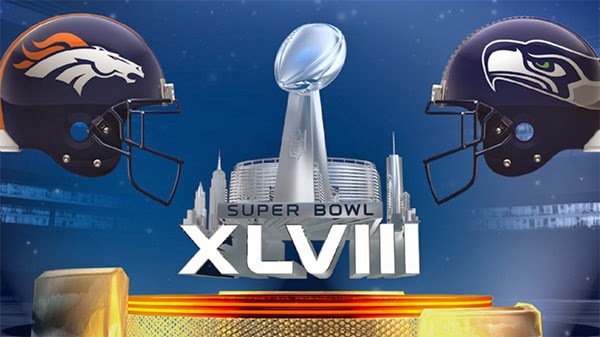 The football season is almost over and no matter which team in the NFL is your team, the Seahawks and the Broncos are going head to head to fight for the championship this Super Bowl Sunday. So, has your hunny/hubby announced to you that "the guys" are coming over - which immediately means (at least to us) ... "What am I going to cook?" Well, we're here to help! We're taking a mini break between sharing our third Valentine's Day post to share some tips and ideas with you for hosting a fabulous, and delicious Super Bowl Sunday party! First up - a Football Sunday (no matter the game) must - Hot Wings! This is my tried-and-true (very simple) recipe and each time I make it all I hear between chewing and beer sipping is "Mmmmm...". Preheat your oven to 425ºF. Prep your wings by rinsing them, patting them dry and tossing them in some olive oil in a bowl. Once they are lightly coated, sprinkle salt and pepper on them until they are covered. Pop them in the oven on a foil-lined cookie sheet for about 45 min. At the end of the 45 minutes, I usually assess how much longer they'll need - usually 20 - 30 more minutes. I don't flip my wings, I let them caramelize and get a little crunchy on the outside. Once they're cooked, I toss them in a bowl and shower them with Frank's Red Hot Original hot sauce. Ta-Da! I told you they were easy! I serve mine with Marie's Ranch dressing and carrots and celery, of course! But if you're a true Bleu fan, Marie's Bleu Cheese dressing is yummy, too! Visit our Super Bowl Sunday Pinterest board for more recipes - warning, you're in for an unhealthy snack overload! But hey, the guys will love it - and decor ideas, too! Incorporating fun foam fingers, team food picks - you name it! Our favorite DIY so far...? 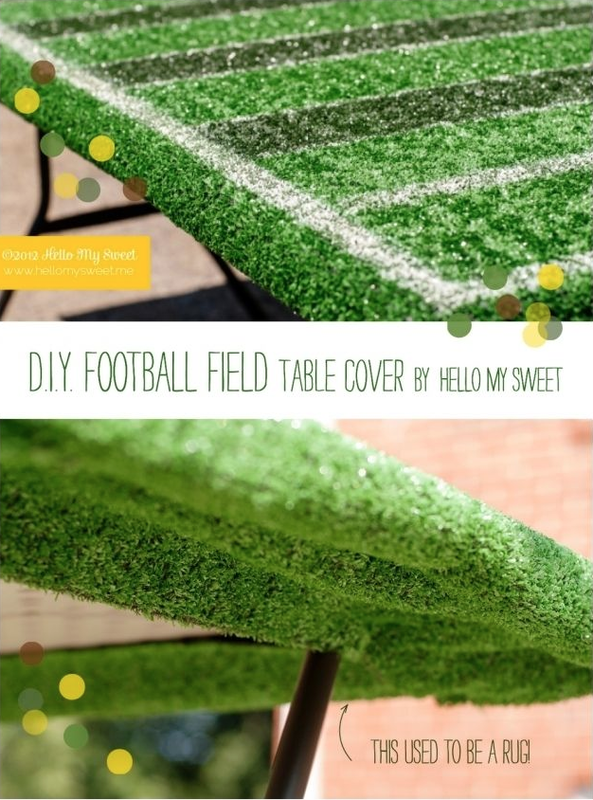 The "Football Field Table"
This would be great to display all the yummy food you've made! We're excited for the game (okay, mostly Bruno Mars and the commercials!) but we love any reason to host a party! Here's to a fantastically-delicious Super Bowl Party!